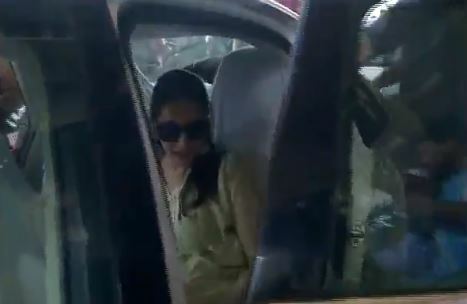 Bhubaneswar: Bollywood actress Madhuri Dixit and music maestro AR Rahman have arrived in Bhubaneswar to perform in the opening ceremony of Odisha Hockey Men’s World Cup on Tuesday. Madhuri along with 1,100 artists will enthral the audience at Kalinga Stadium here on Tuesday. The opening ceremony will feature a theatrical production and dance ballet titled “The Earth Song”. The theme of “The Earth Song” is ‘Oneness of humanity’. Madhuri will play the Mother Earth during the 40-minute long performance which has been directed and written by Nupur Mahajan. Rahman will perform on the Hockey World Cup anthem ‘Jai Hind India’ here. Besides, Bollywood superstar Shah Rukh Khan will participate in the inaugural ceremony.